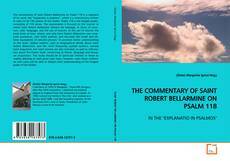 IN THE "EXPLANATIO IN PSALMOS"
The commentary of Saint Robert Bellarmine on Psalm 118 is a segment of his work, the “Explanatio in psalmos”, which is a commentary written in Latin on all 150 psalms of the Psalter. Psalm 118 is the longest psalm, consisting of 176 verses. The examination is focused on the manner in which Saint Robert Bellarmine delivers his message, in terms of structure, style, language, and the use of sources. 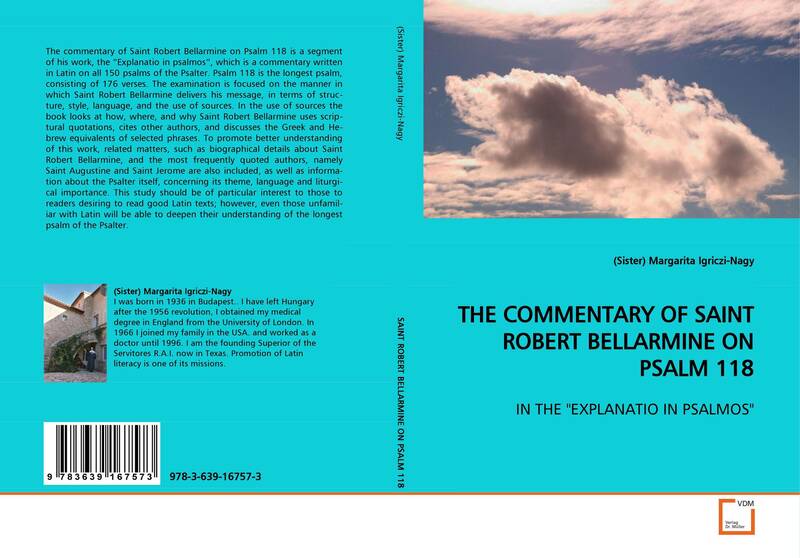 In the use of sources the book looks at how, where, and why Saint Robert Bellarmine uses scriptural quotations, cites other authors, and discusses the Greek and Hebrew equivalents of selected phrases. To promote better understanding of this work, related matters, such as biographical details about Saint Robert Bellarmine, and the most frequently quoted authors, namely Saint Augustine and Saint Jerome are also included, as well as information about the Psalter itself, concerning its theme, language and liturgical importance. This study should be of particular interest to those to readers desiring to read good Latin texts; however, even those unfamiliar with Latin will be able to deepen their understanding of the longest psalm of the Psalter.